Everyone knows what a dragon is. However, fewer people know that these creatures roamedthe earth not only in the remote past. Dragons invariably capture the imagination of successive generations, arousing respect and fear. Today they are depicted in various stories that are steeped in magic and fantasy. Allegedly, dragons evolved from enormous carnivorous dinosaurs, such as the Tyrannosaurus Rex. Everyone knows stories about mysterious creatures that have been featured in mass culture since the beginnings of time. We know that they existed, how dangerous they were, and what they looked like. But do we really? It is only in our park that you will see their reconstructed images that will enliven the imagination of ultimate disbelievers. 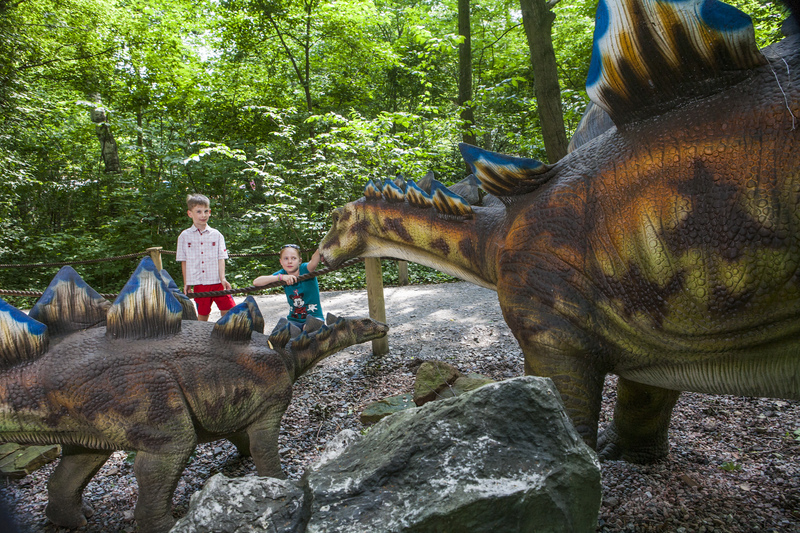 On your way you will see more than 40 mobile dinosaurs, which in the beautiful forest surroundings will guide you through the successive periods in the history of earth. Walking down the 1,350-meter-long educational path you will see what dinosaurs looked like millions of years ago. It is a wonderful collection of information. The realistic images of dinosaurs utter sounds, move their heads, tails, eyelids and even stomachs, imitating breathing. They also wink at the visitors. Come and have fun at the Malborkstones Rope Park. The first smart belay system in Pomerania ensures your children’s safety. Our mindful instructors will make sure that everyone will have a great time here.